Enjoy endless runner games? What about motion sickness, do you like that as well? 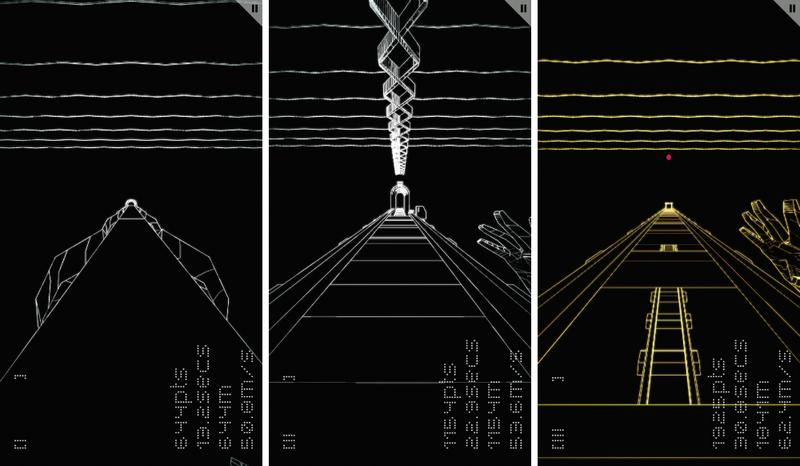 If so, the perfect game is available for you now, titled FOTONICA, priced on Google Play at just $1. To me, it plays much like Temple Run, but you are placed in a world made up of awesome beats, wiry platforms, and strange pink balls that you must run through. To play, you hold your finger down on the display, which gets your character running. From there, you lift up to jump, then press again to come back down, gaining speed with each jump. The part that gets me a little queasy in the stomach is when you go into this hyperdrive-like mode. Your character is zooming down this road, and with the mixture of colors and your eyes trying to distinguish when a jump is coming, it can be very tricky to master. The game is priced at $0.99, and if you won’t get too sick, I highly recommend you check it out.